As you might expect from a FromSoftware game, Sekiro: Shadows Die Twice oftentimes doesn’t give you any indication of what a particular item does, instead leaving you to puzzle it out. 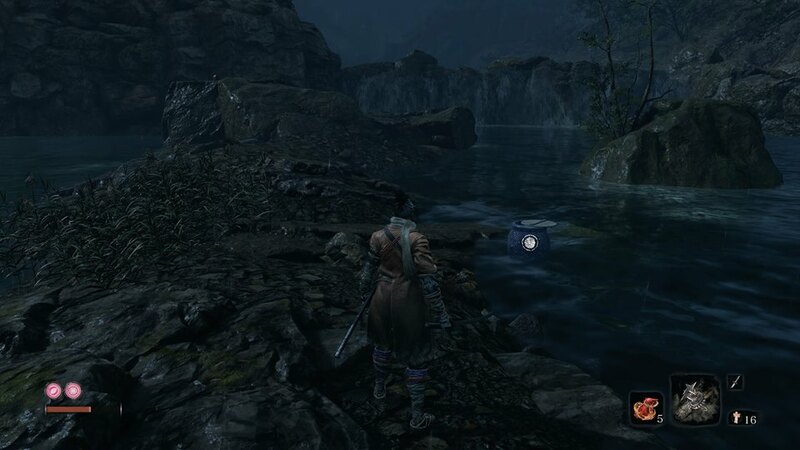 An item that you might find yourself getting late in Sekiro is the Truly Precious Bait, so here’s how to get Truly Precious Bait and what it’s used for in Sekiro. Just like with the Mask Fragments, if you want to get the Truly Precious Bait you’re going to need to trade with both of the Pot Noble merchants in the game. To trade with them you’ll need plenty of Treasure Carp Scales, which we’ve detailed here, and once you’ve traded enough they’ll both give you Truly Precious Bait. These are two different items, and it’s important to know which one is which. Now, here’s where to find both Pot Noble Merchants. Pot Noble Harunaga – Hirata Estate – From the very start of the level, jump down the cliff and head to the wooden bridge that goes across to the estate. Instead of going across the bridge jump into the water on your right, then head straight ahead to a small island. On the right side of the island you’ll find Harunaga, with his hand sticking out of a bright blue pot. Pot Noble Koremori – Fountainhead Palace – For this one it’s best to start from the Palace Grounds Sculptor’s Idol. From the idol, head into the building straight ahead then out the exit on your left. Head right across the rocks in the water and you should see a cave with a grapple point. Grapple up then head forward, and jump and grapple to the roof in front of you. Now head to the top left of the roof and drop off onto the cliff. You should see Koremori sitting there in his blue pot, near the cliff’s edge. Again, just trade enough Treasure Carp Scales and you’ll get the Truly Precious Bait. Once you have the Truly Precious Bait, you’ll need to go to Fountainhead Palace and make your way to the Feeding Grounds. Fast travel to the Sanctuary Sculptor’s Idol and head down the stairs into the building. Now head all the way to the roof and go to the top left corner of it to find a grappling point. Grapple and drop down to the next roof, then just jump over the next gap and you’ll be right on top of the Feeding Grounds. Ring the bell here and you’ll summon the Giant Carp, and get the choice of which Truly Precious Bait to feed it. Now it’s important to keep in mind here that whichever bait you feed it, that respective merchant will win, and the other will die, disappearing forever. However, the stock of that merchant will be transferred to the one still alive. No matter what you choose, you’ll get a Lapis Lazuli as a reward, which can be used to upgrade Shinobi Prosthetic Tools at the Sculptor. That’s everything you need to know about how to get Truly Precious Bait and what it’s used for in Sekiro. Make sure to search Twinfinite for even more tips and info, as well as check out our expansive Sekiro guide wiki.